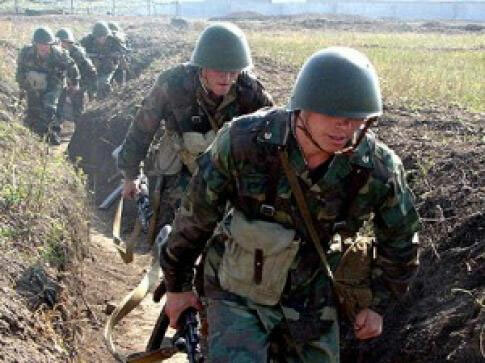 The Azerbaijani armed forces neutralized 10 Armenian tanks and killed many servicemen on the contact line between two countries’ troops, the Azerbaijani defense ministry said April 3. Armenia continues escalating the situation despite the agreement on the resumption of the ceasefire at Russia’s initiative and mediation April 2 at 15:00 (UTC/GMT +4 hours). As a result of preventive measures carried out by the Azerbaijani armed forces, Armenia's actions in this regard were prevented. The Armenian armed forces intensively shelled the settlements near the contact line of troops and non-military civilian facilities. The Azerbaijani defense ministry ordered the armed forces’ units to retaliate against Armenia’s positions in the occupied territories if Armenia does not cease shelling the country’s settlements.